Exciting season coming to Michigan, Indiana, and Canada for AVBBSS in 2019!! 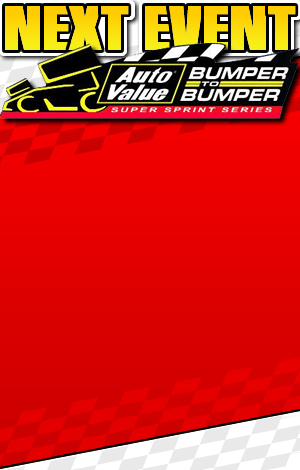 Auto Value Bumper to Bumper Super Sprints strives to give our fans and our drivers the best shows possible in cooperation with the track owners. We would love to rush a schedule out with tentative dates, however this would be a disservice to our fans and drivers without concrete dates and signed contracts ensuring these dates. AVBBSS is currently planning both winged and non-winged events in Michigan, Indiana, and Canada. Additionally we will also be holding one weekend of the King of the Wing National Championship. AVBBSS would also like to work with other sanctioning bodies, and if agreements can be made, than we will do so, as long as these co-sanctioned events include our official tire Hoosier, our primary sponsor Auto Wares, and all of our additional sponsors. Additionally, any co-sanctioning body that wants to team up with AVBBSS can not take actions to hurt our organization by forcing tracks to sign non-compete clauses forcing sprint car fans to be reduced to only one show at any given track. AVBBSS is also looking into adding new promotional and TV exposure in the coming year that can be viewed anywhere and anytime via the Internet and not specifically through cable or satellite tv stations. The exposure for our drivers and tracks to our fans is going to be huge without the expense of adding channels to their current TV packages. Tom Hartsell and all the members of AVBBSS and KOTW will work hard to ensure we have the best possible Super Sprint Car season for the Indiana, Michigan and Canada area. We are excited with our progress in scheduling and signing our 2019 season and will be releasing it as soon as possible. Thank you for being a valued Fan, Driver, and/or Track of the Auto Value Bumper to Bumper Super Sprints.